Robert W. McLaughlin, Member and Manager of MAS Investment Group LLC, has over 30 years of experience in real estate and banking. Mr. McLaughlin has a broad background in finance and development in both the private as well as the public sectors. 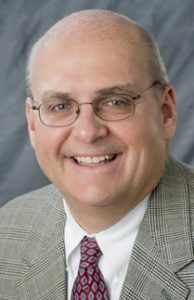 During his career Mr. McLaughlin has served as a Regional President for U.S. Bank, as well as Senior Vice President and Real Estate Lending Manager for Huntington National Bank, and as head of the Downtown Development Office for the City of Columbus, Ohio. He has also previously served as Senior Vice President of MAS before joining the mayor of Columbus in leading the city’s downtown revitalization effort. Mr. McLaughlin’s wealth of experience also includes service as a retired Commander in the United States Naval Reserve. Mr. McLaughlin has been or is currently involved with a number of professional and civic organizations, including service on the Boards of Directors of the following: Columbus Next Generation Corporation (non-profit community development), Columbus Urban Growth Corporation, Experience Columbus (fka Greater Columbus Convention and Visitors Bureau), Big Brothers Big Sisters of Central Ohio, and Franklin County Lifecare alliance (fka Meals on Wheels).